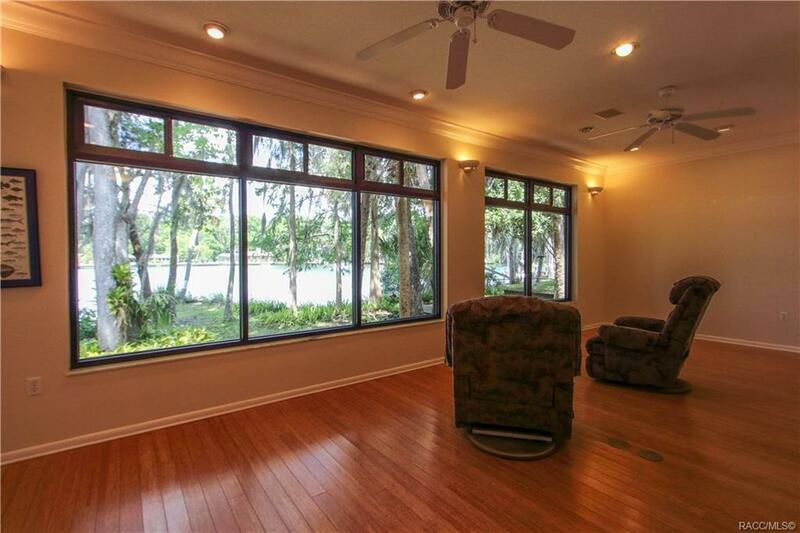 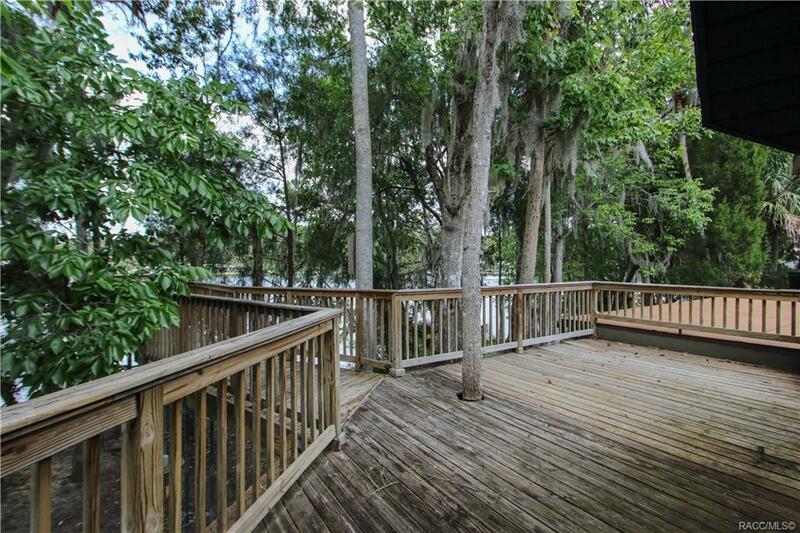 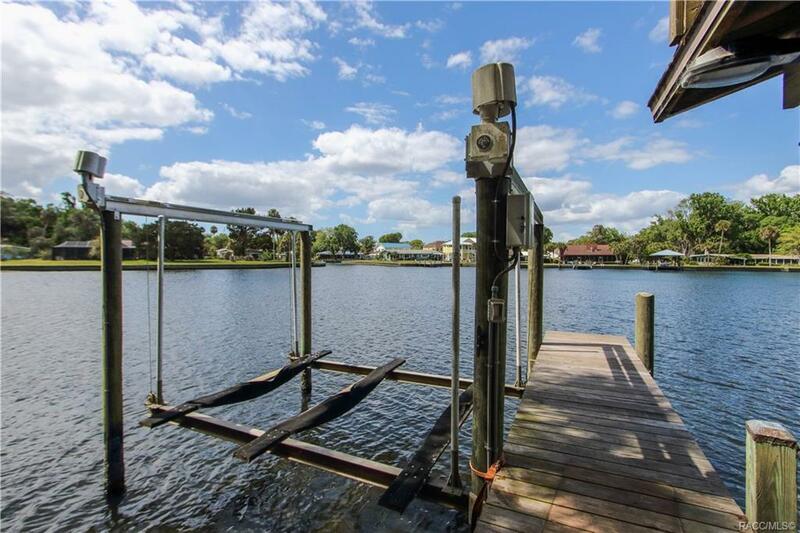 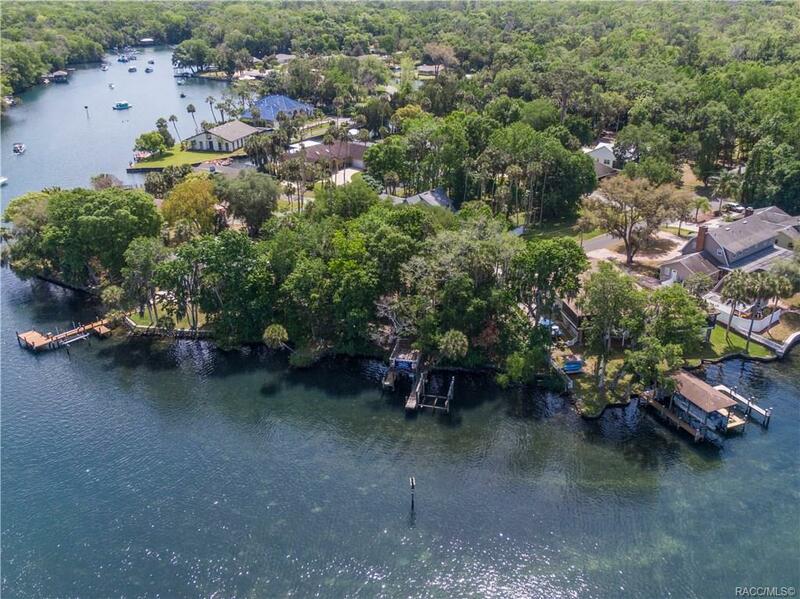 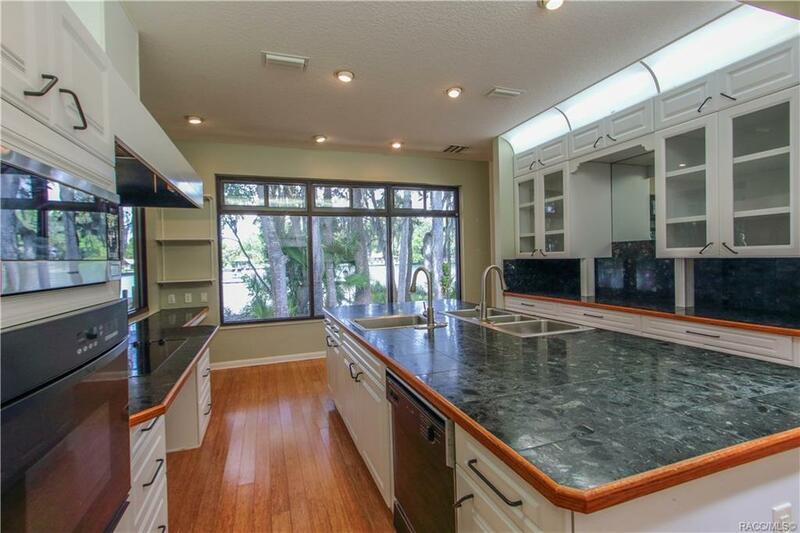 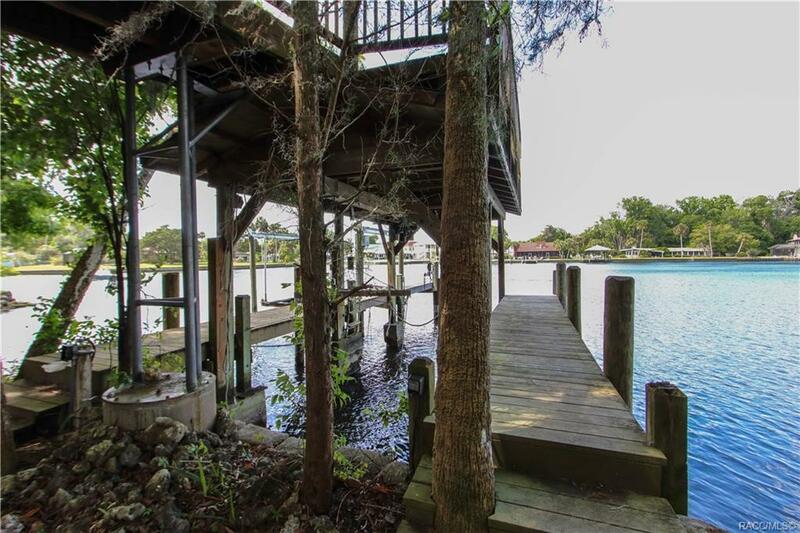 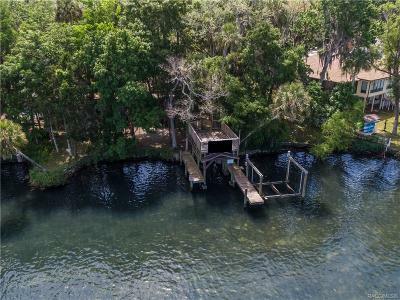 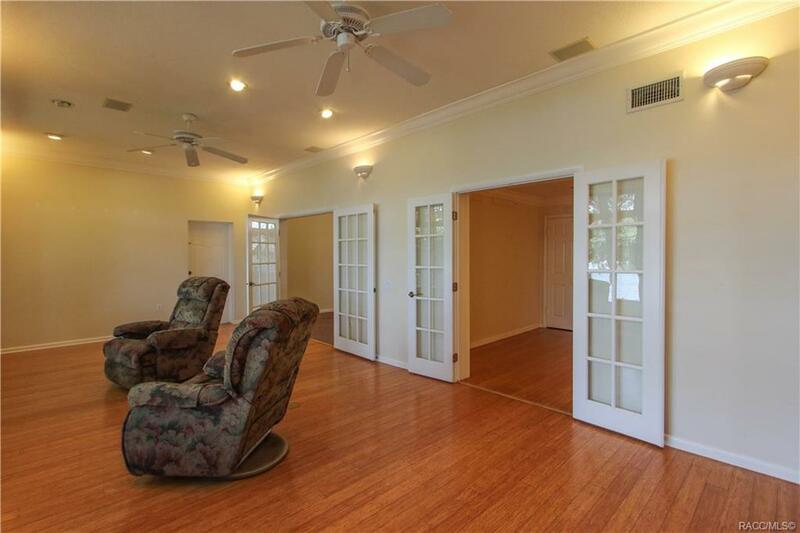 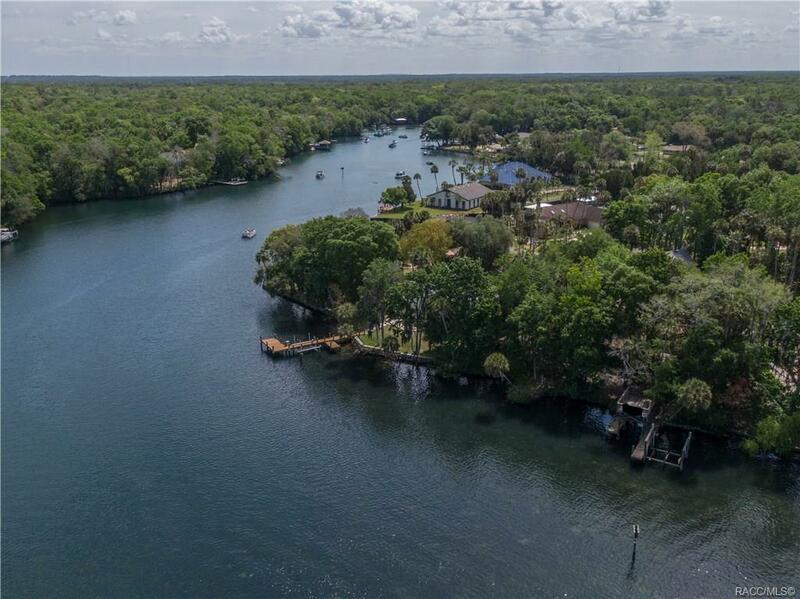 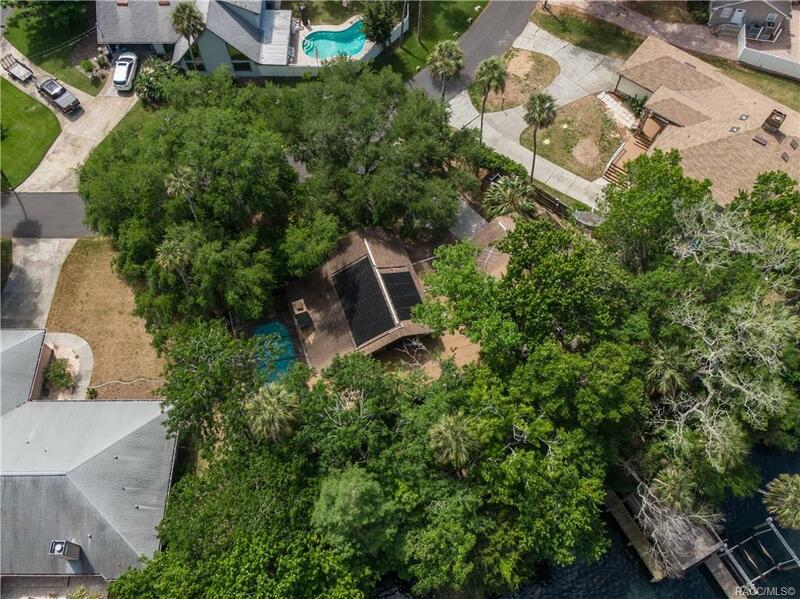 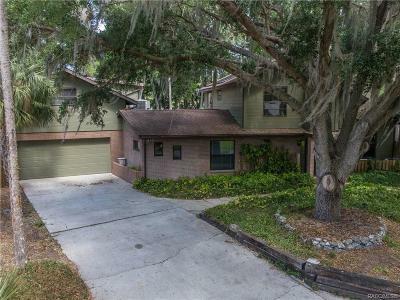 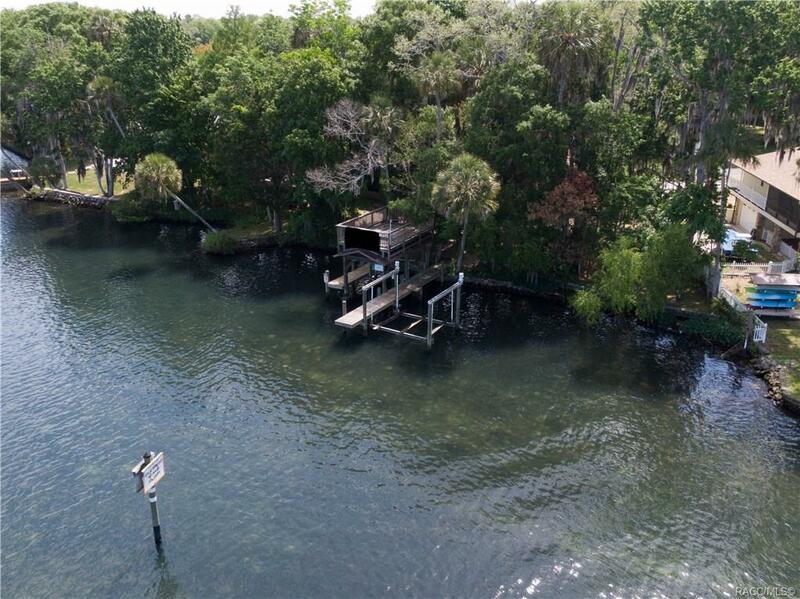 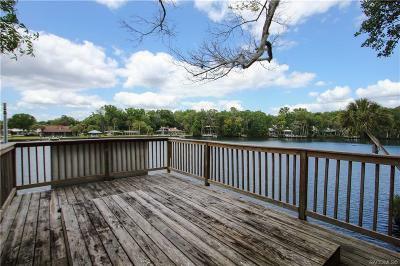 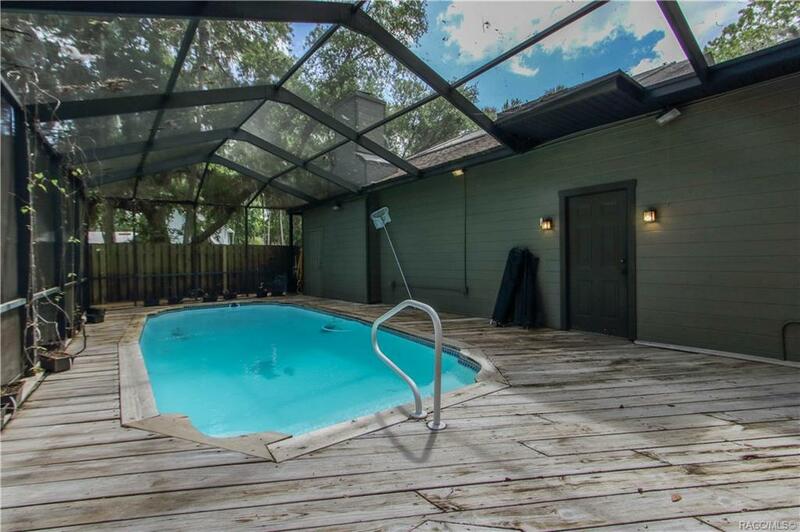 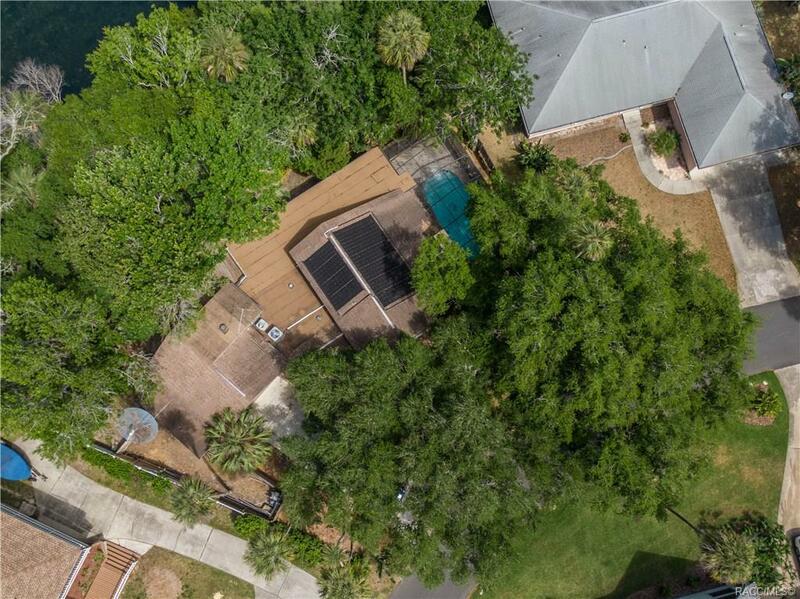 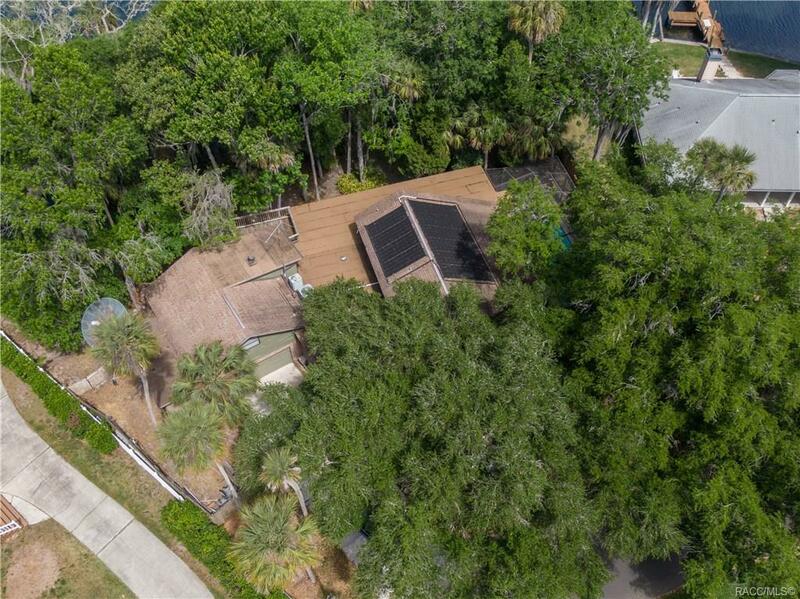 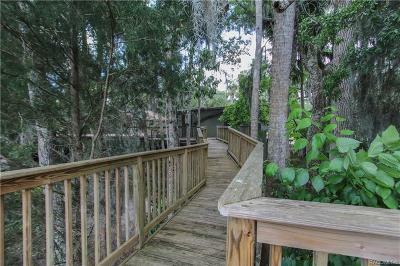 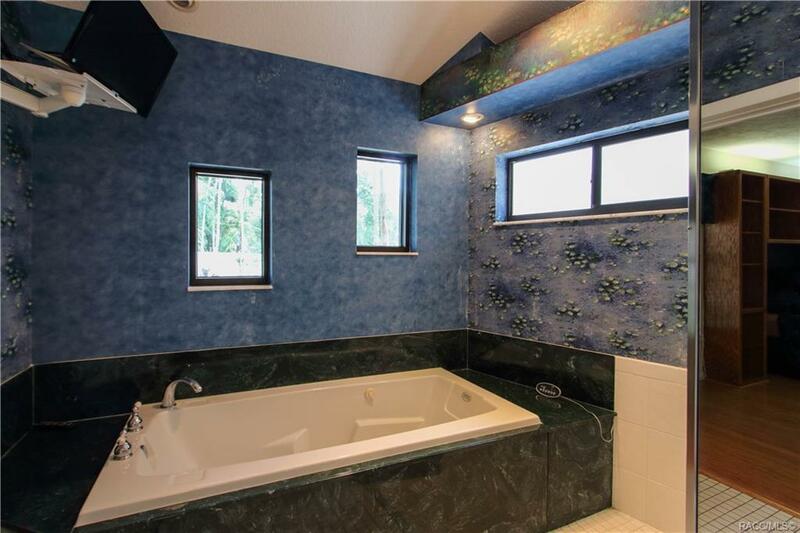 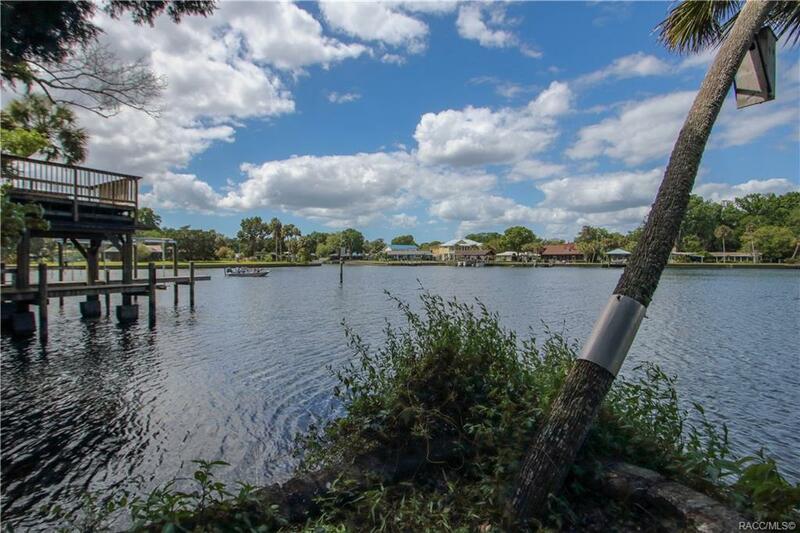 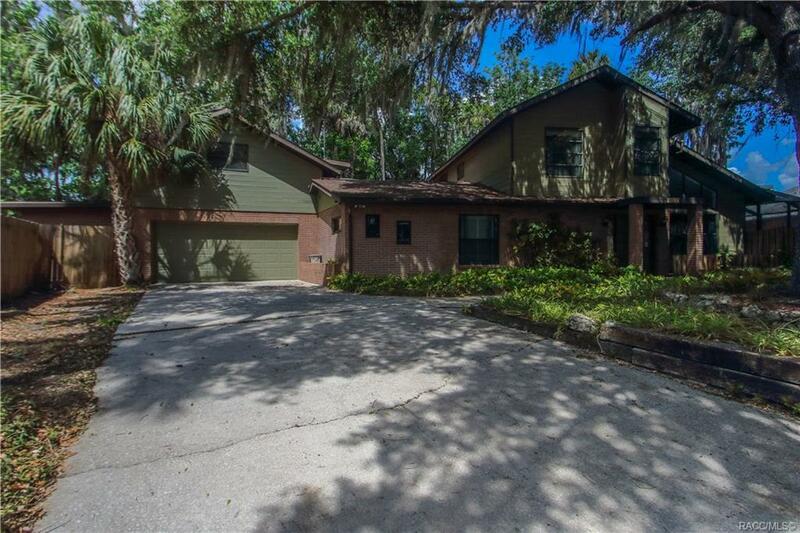 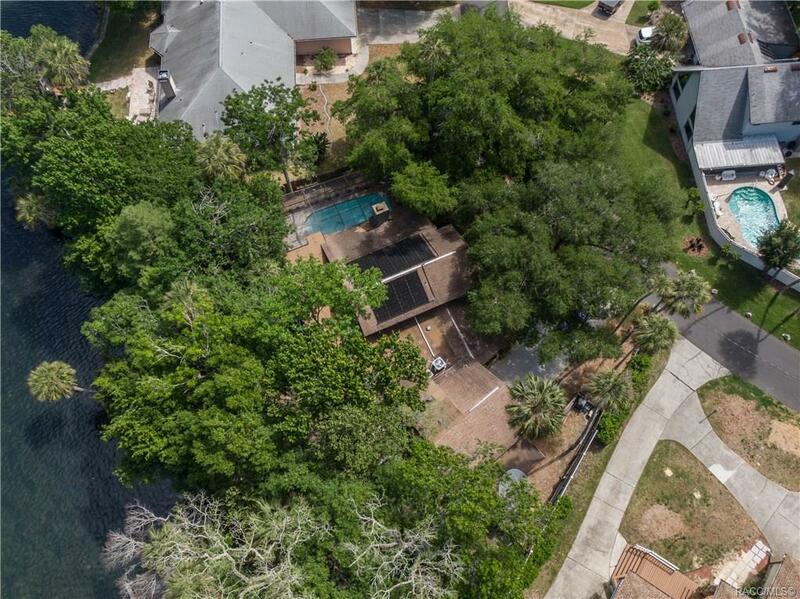 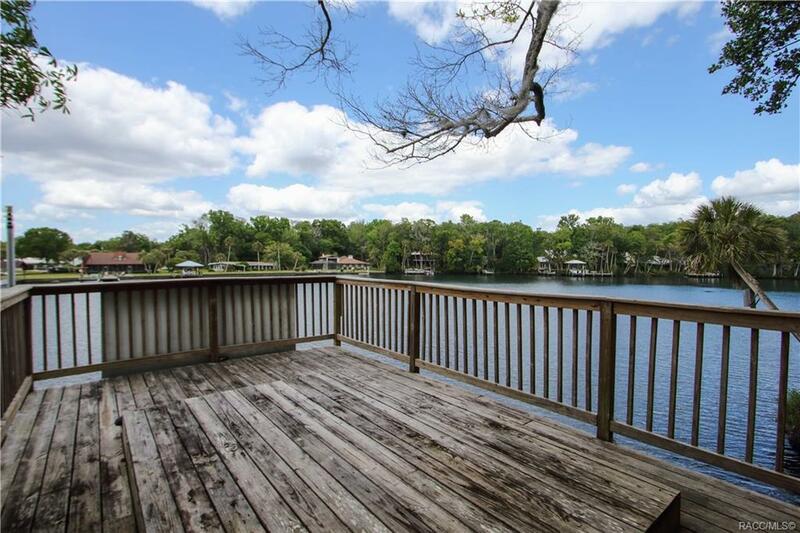 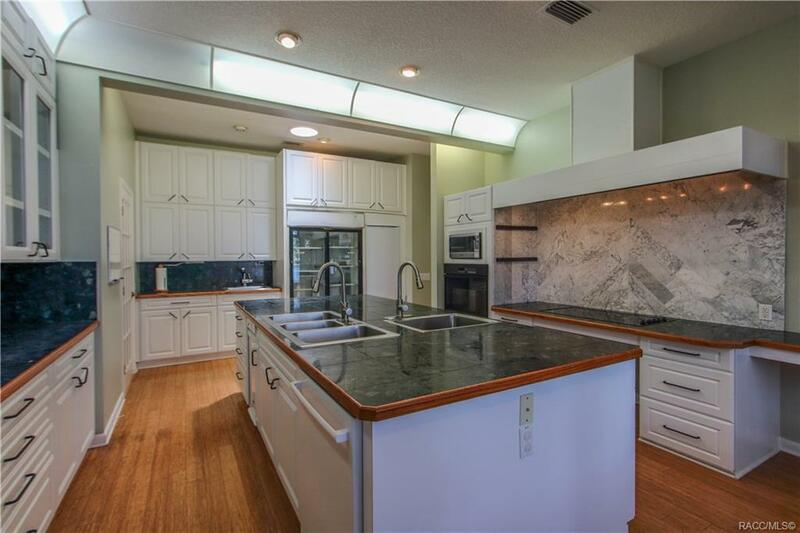 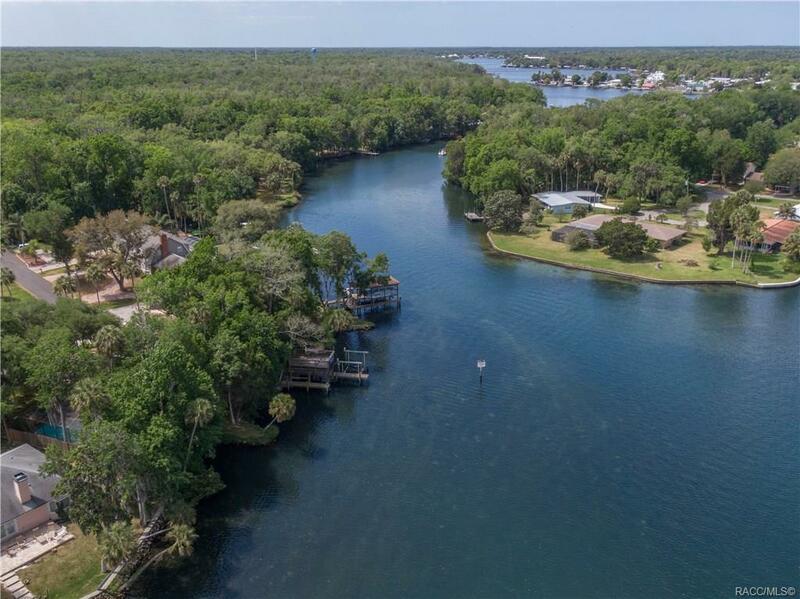 Located on the very convenient and desirable south side of the Homosassa River this 4 bed/4 bath luxury home offers unusual privacy, first floor is handicapped friendly and has never flooded. 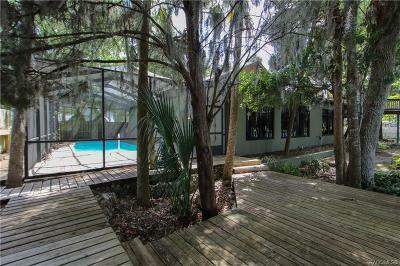 Started in 1984 enlarging and modernized in 2000. 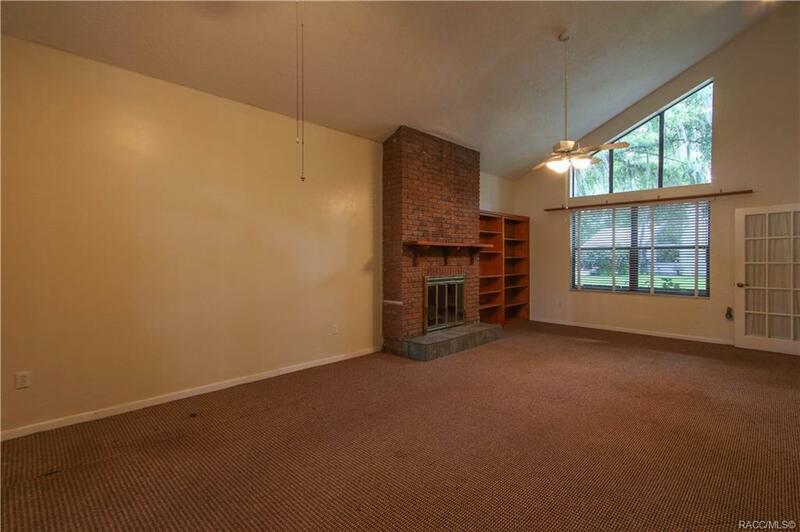 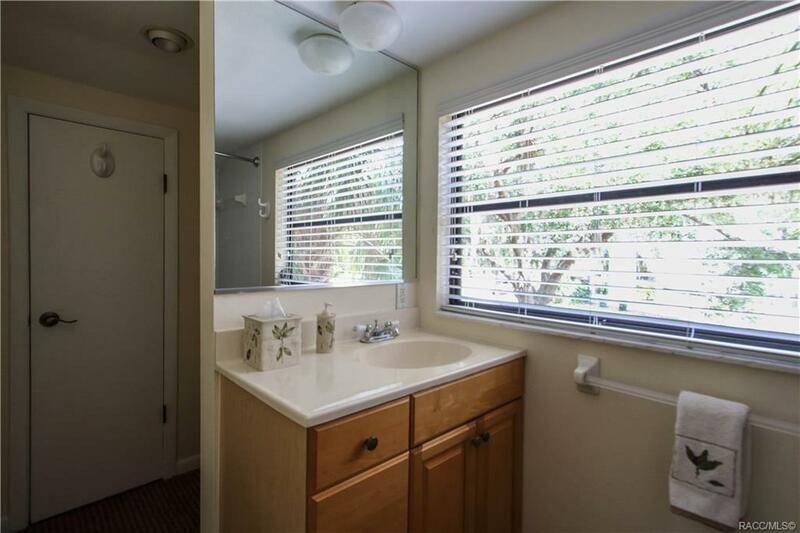 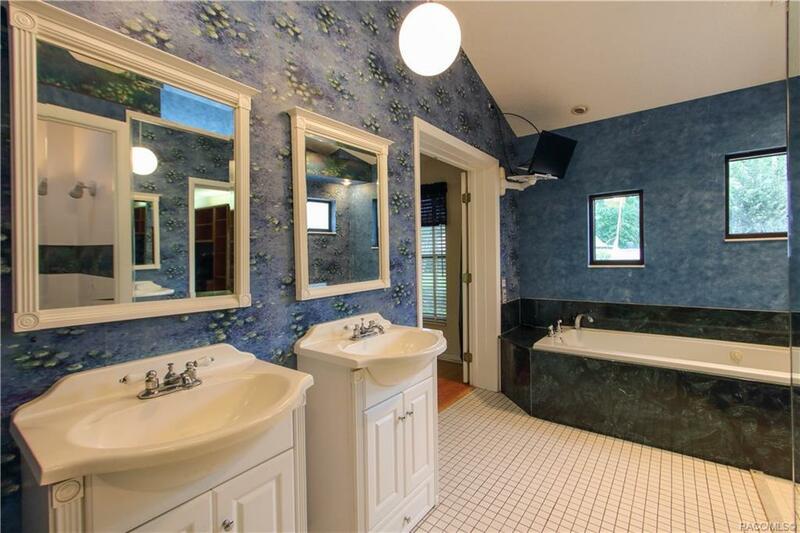 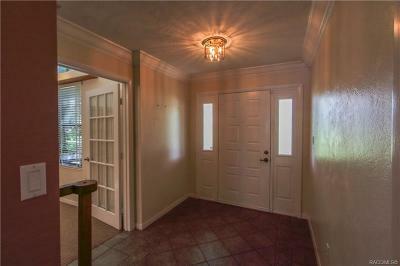 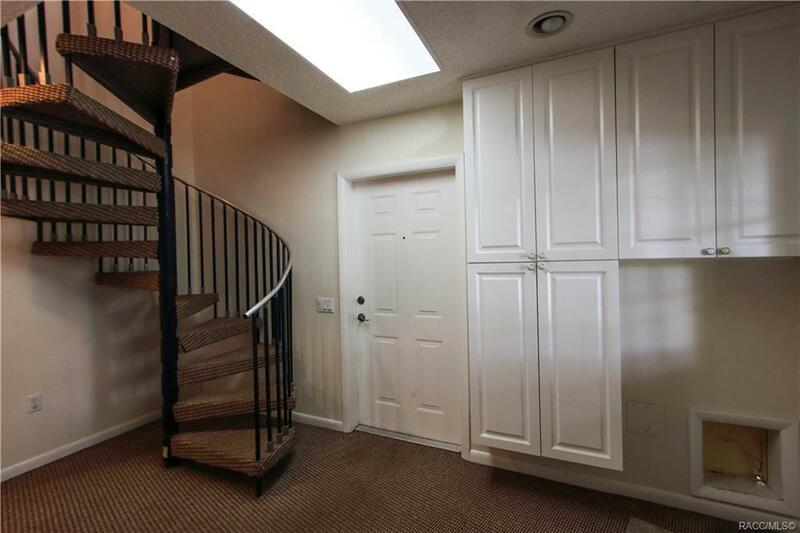 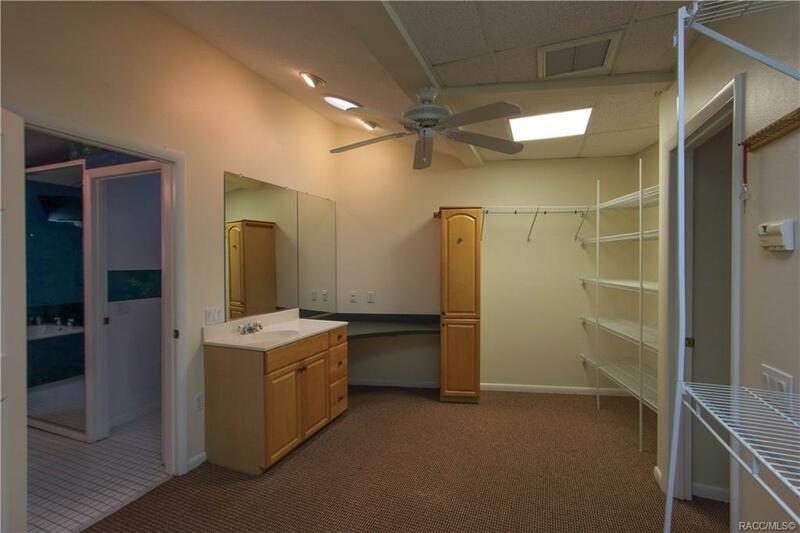 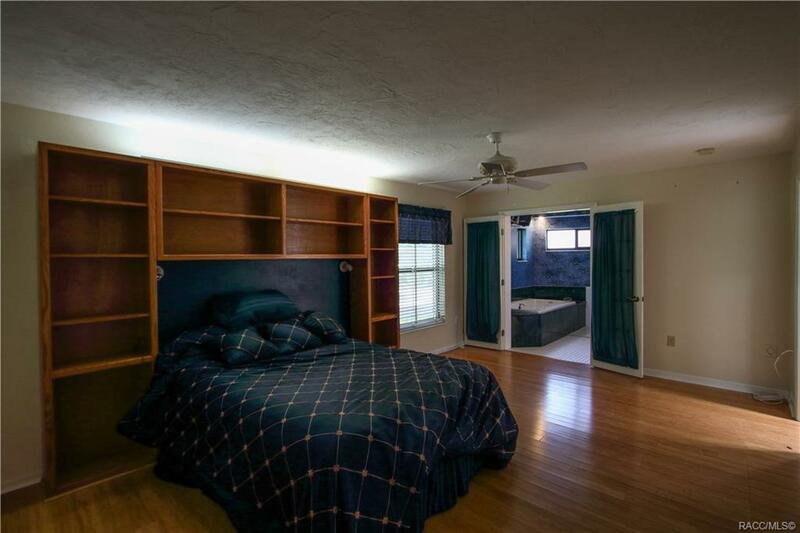 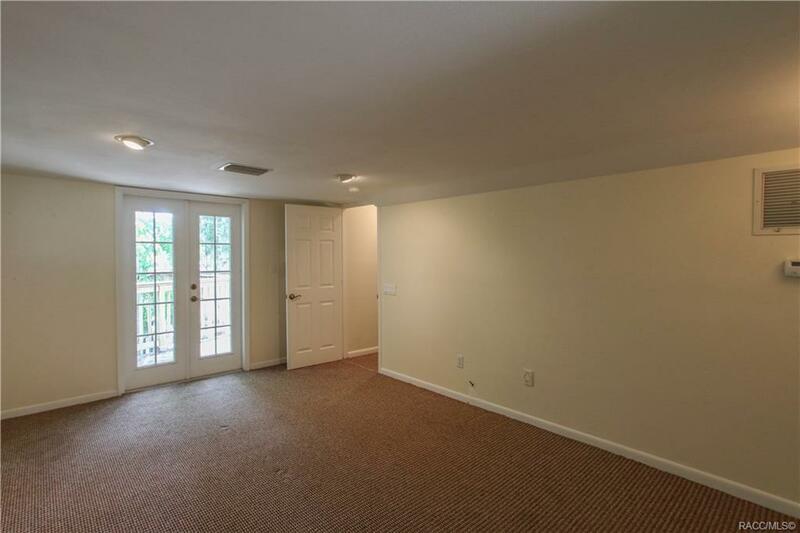 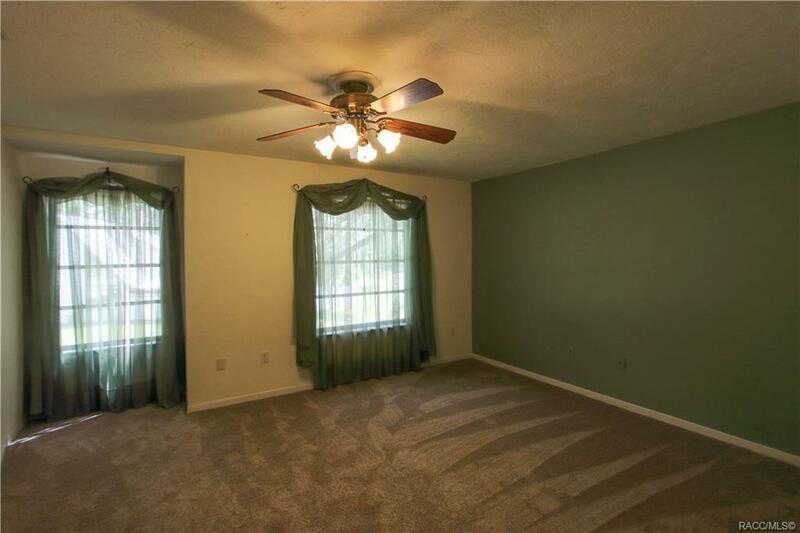 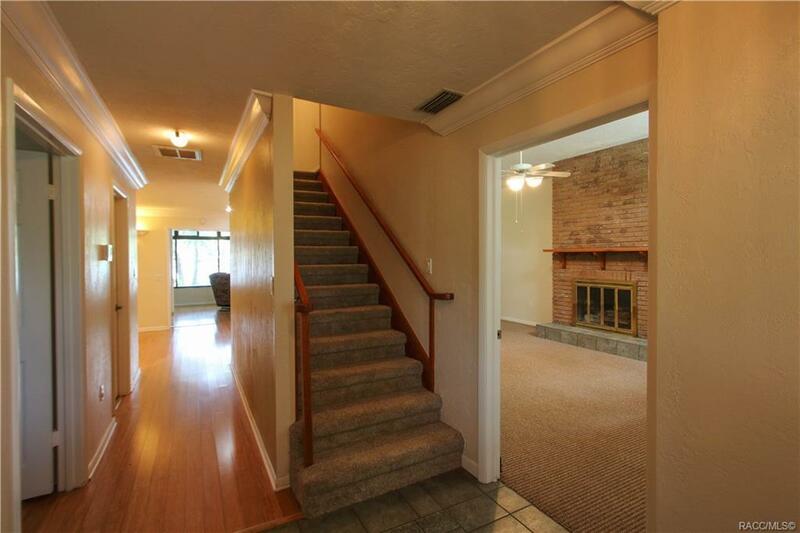 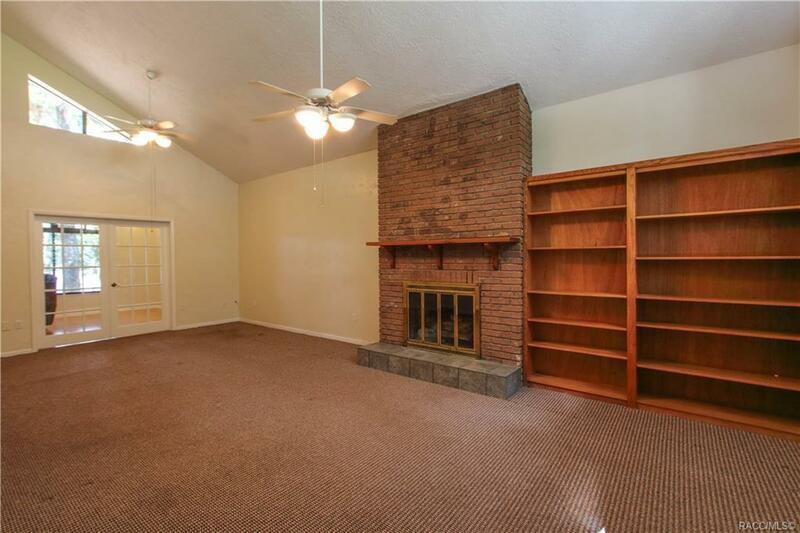 An unassuming street visage opens into a hallway with master suite to one side and large bonus room with fireplace on the other. 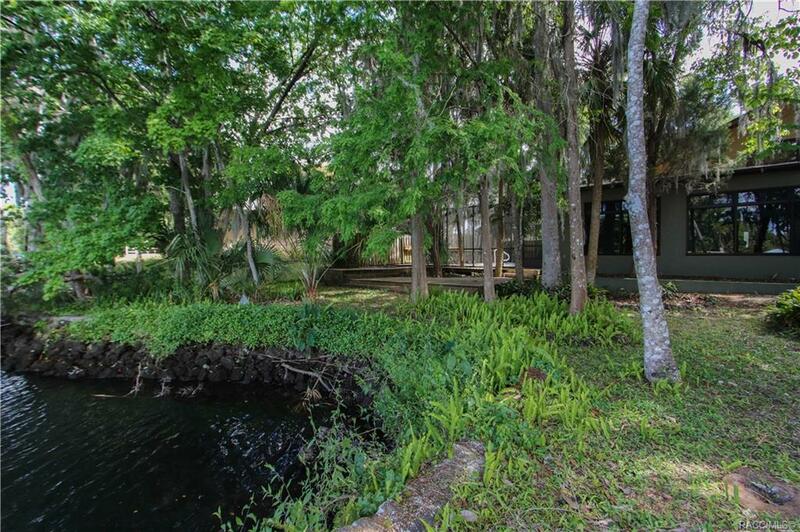 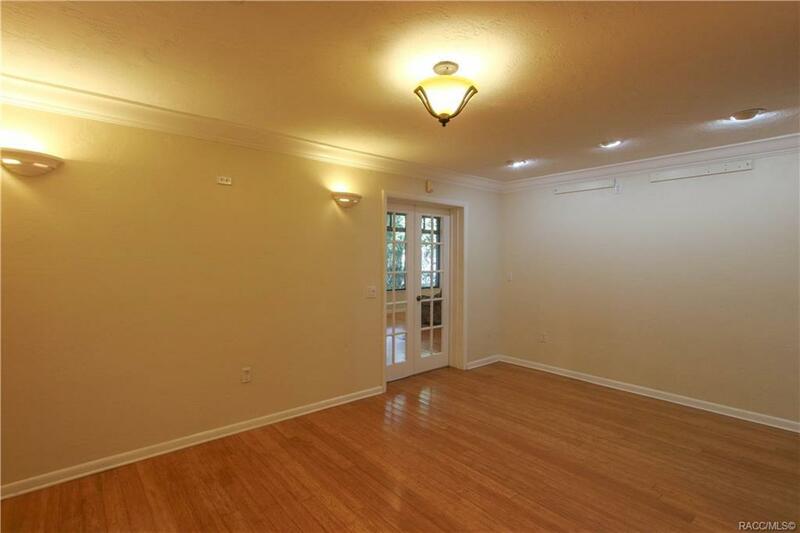 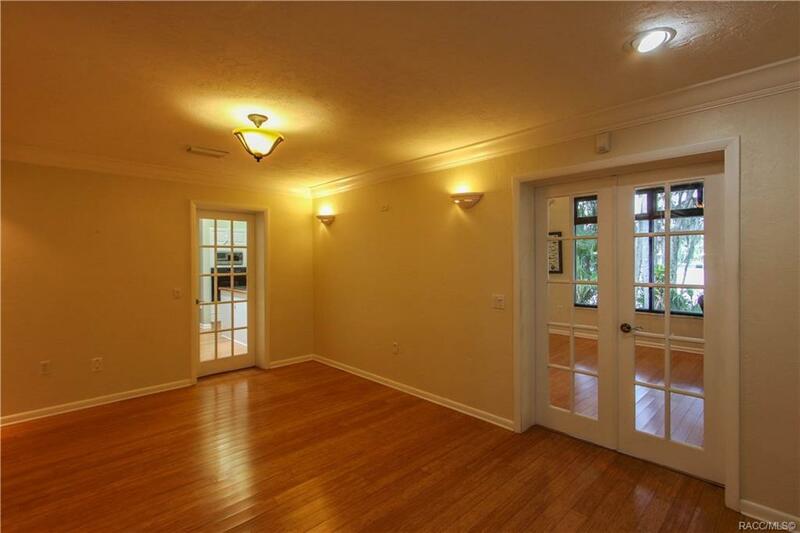 The hall goes past the dining room and opens to a 46'x14' area as close to river as the law allows. 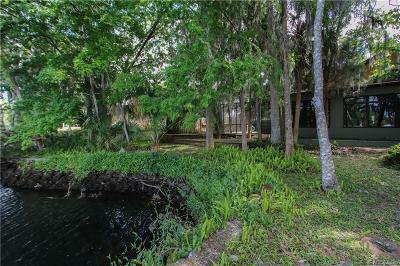 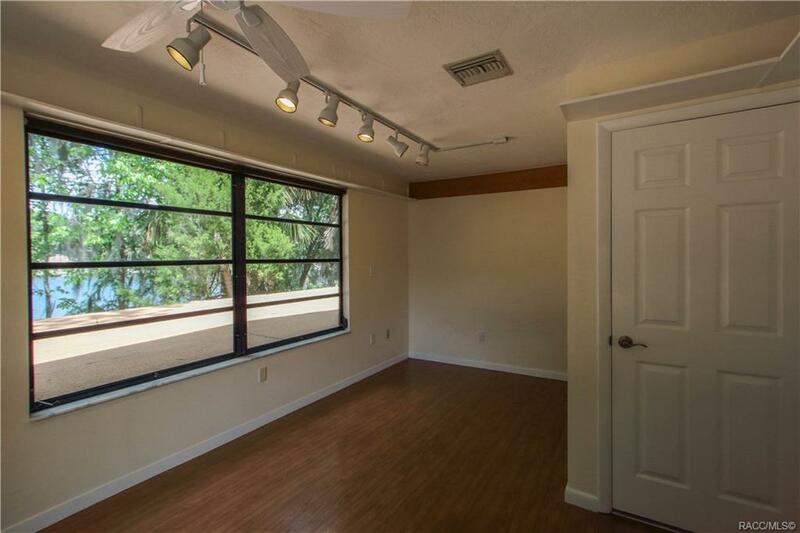 Divided into a 14'x23' kitchen with 12' of double pane windows and a 26'x13' living area with 24' of windows looking onto the wide, idle speed fresh water. 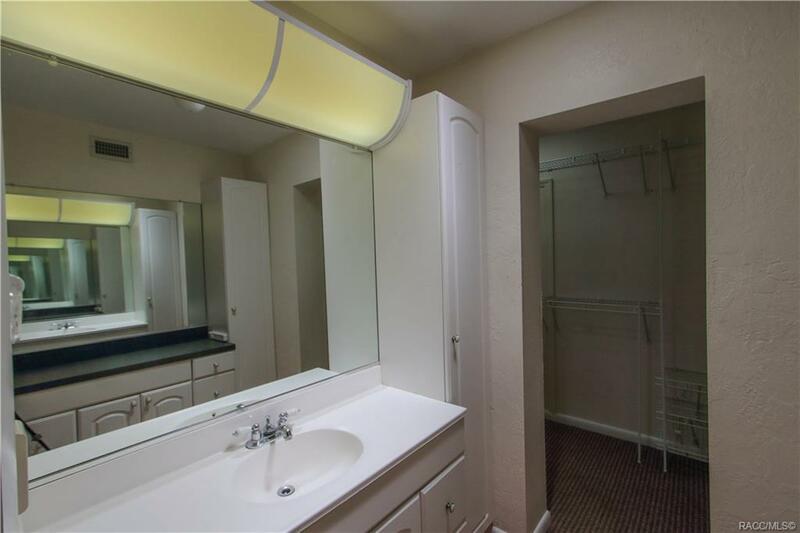 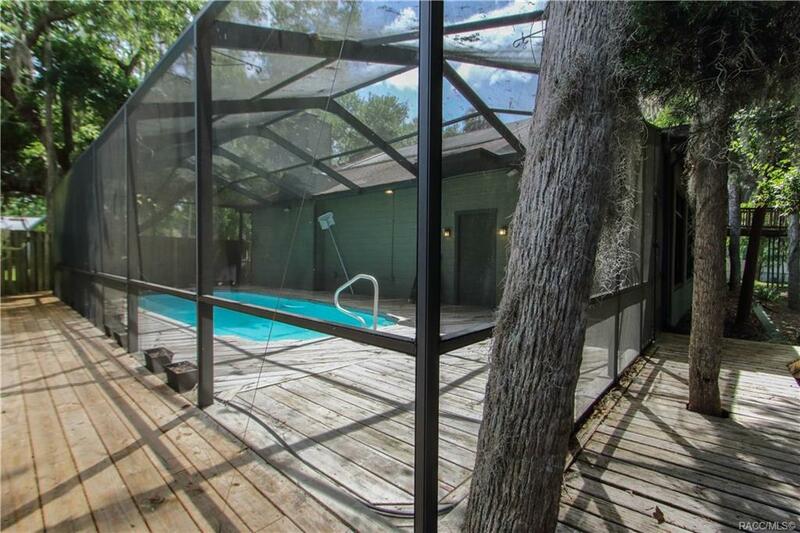 This also offers access to the heated screened pool. 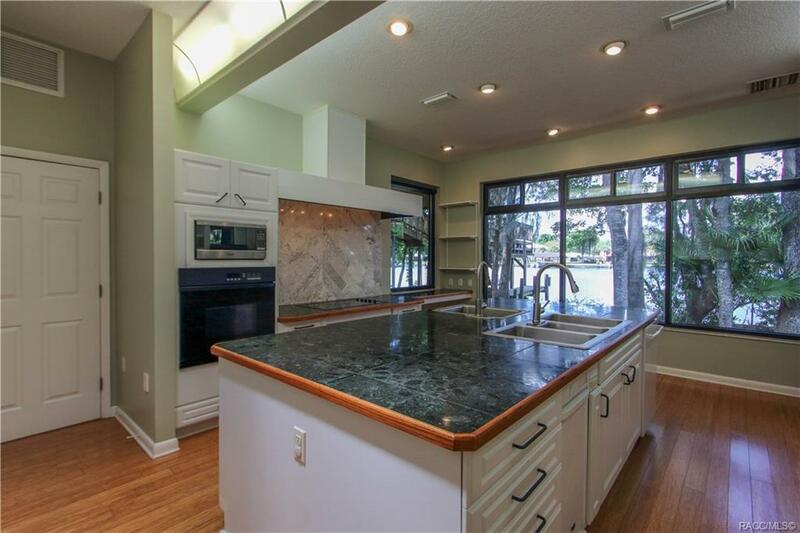 The kitchen with three sink areas, massive storage and large island is divided into two efficient work triangles that can accommodate a large family. 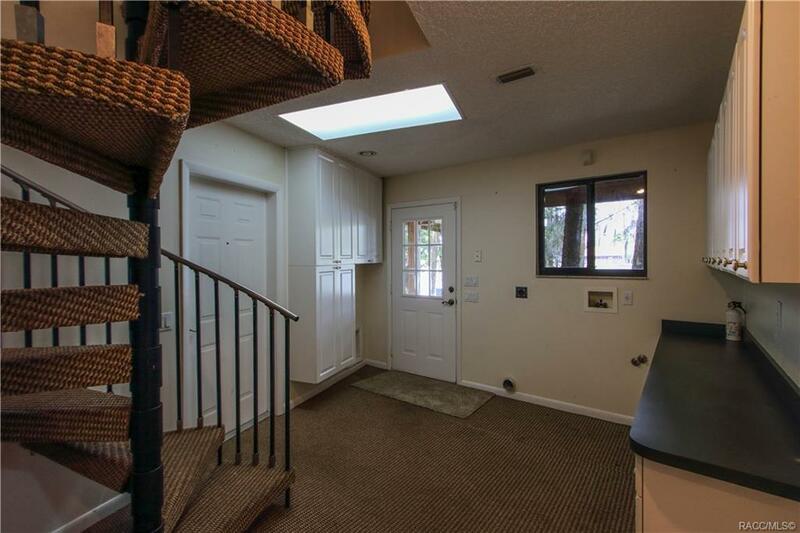 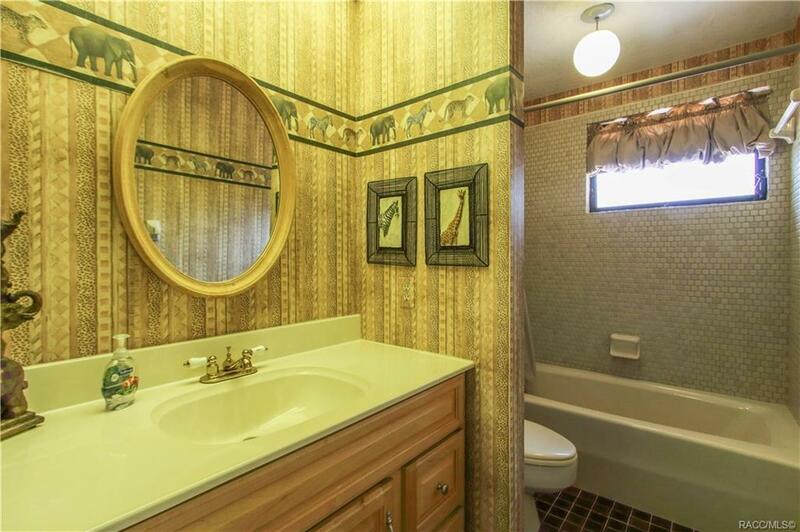 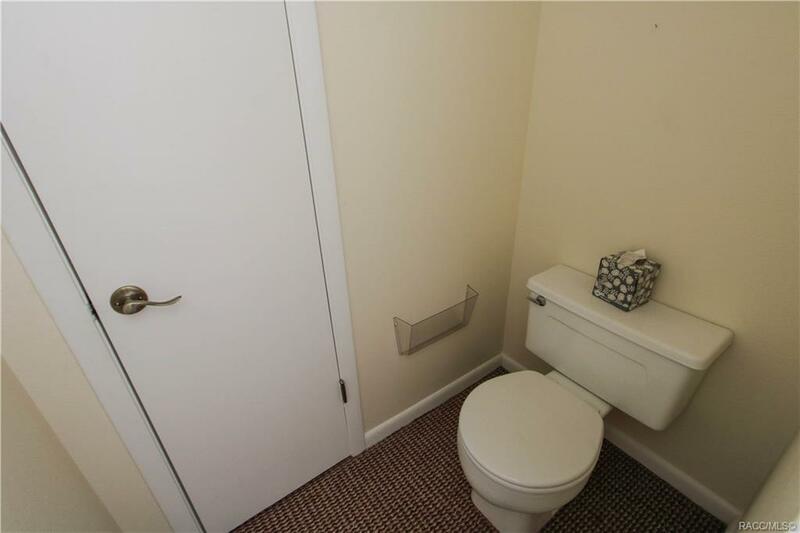 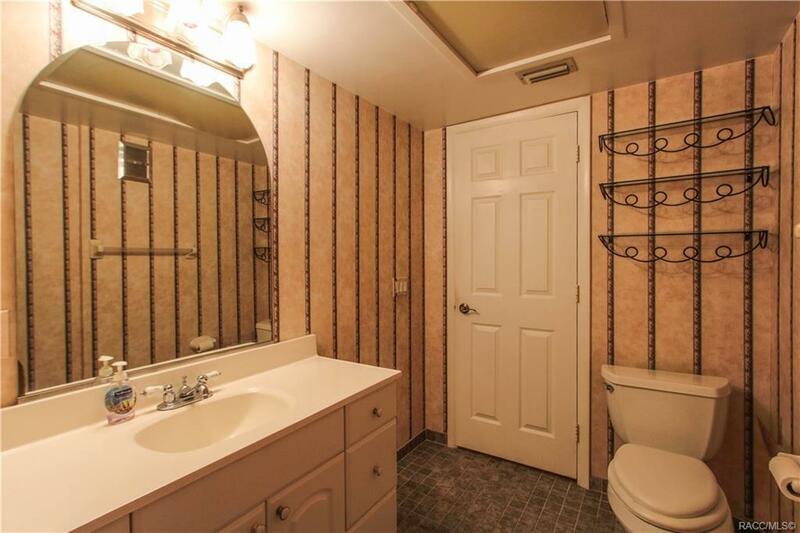 The second floor has 2 bed/1 bath. 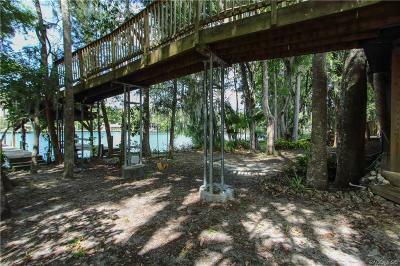 Over the garage is a very large private bed and bath accessed by spiral stairs and opening to decking that extends over the boathouse.